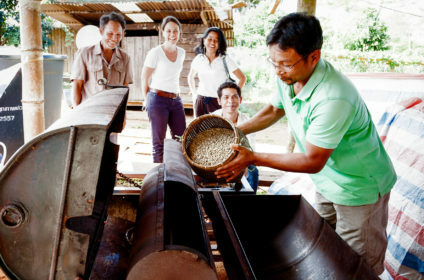 There is more than history and culture to see in the dynamic and enthralling country of Laos. 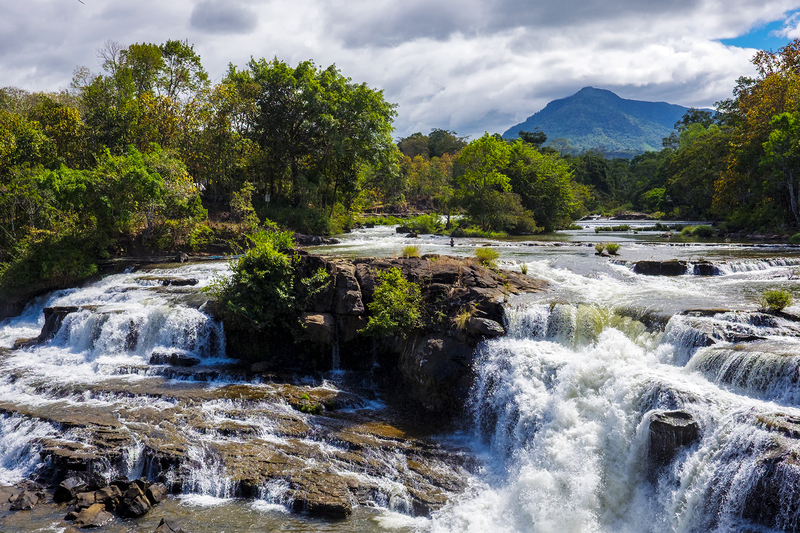 As the only landlocked area in Southeast Asia, Laos is blessed with incredible views and diverse terrains, and the tropical climate creates the perfect setting in which to enjoy mountain, cave and water adventures all year round. These 10 stunning places are guaranteed to make you want to start your own travelling escapade in Laos. 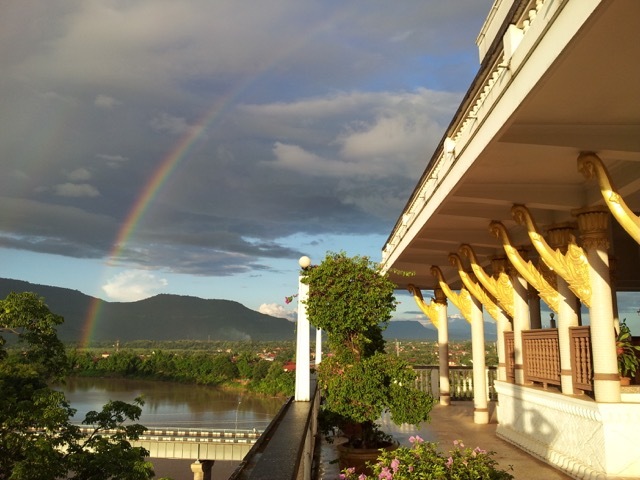 In the heart of northern Laos lies Luang Prabang, a picturesque town added to the UNESCO World Heritage List in 1995 for its unique architecture. 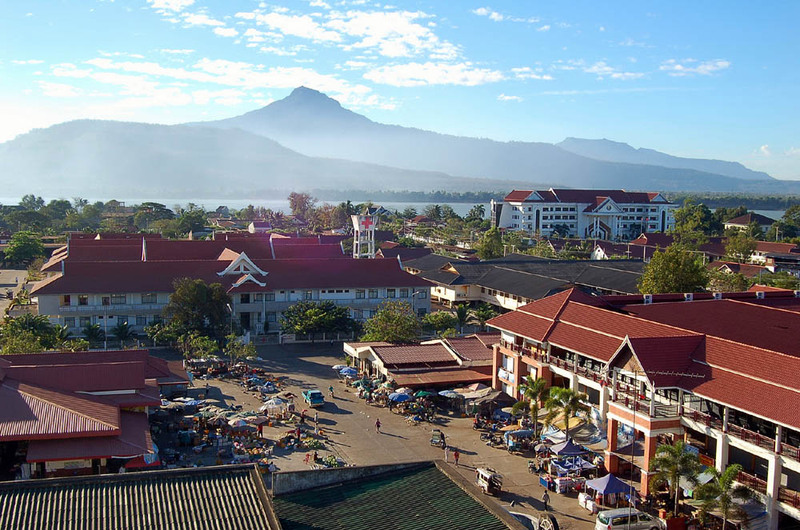 Sitting in the center of its old town is the emblem of Luang Prabang, Mount Phousi, a towering natural structure which is over 100 meters high. The climb uphill here can be exhausting, but it will reward with unforgettable views. 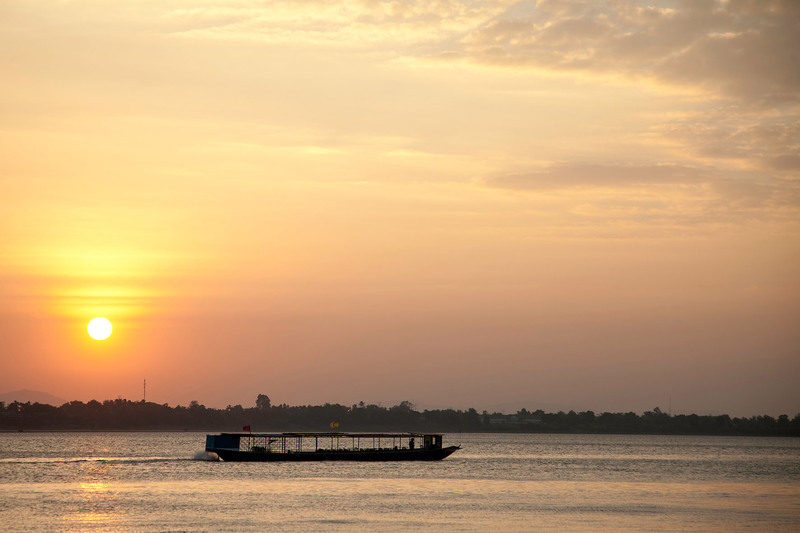 Overlooking the city, the mountain is an excellent spot for watching spectacular sunrises and sunsets over the Mekong River. At the top of the mountain, as well as at the base and along the way uphill, there are several original and breathtaking temples where you can make offerings and pray for good luck. The beauty of Luang Ptabang is not limited to Mount Phousi; Kuang Si Falls is another exceptional gift of nature given to the region. 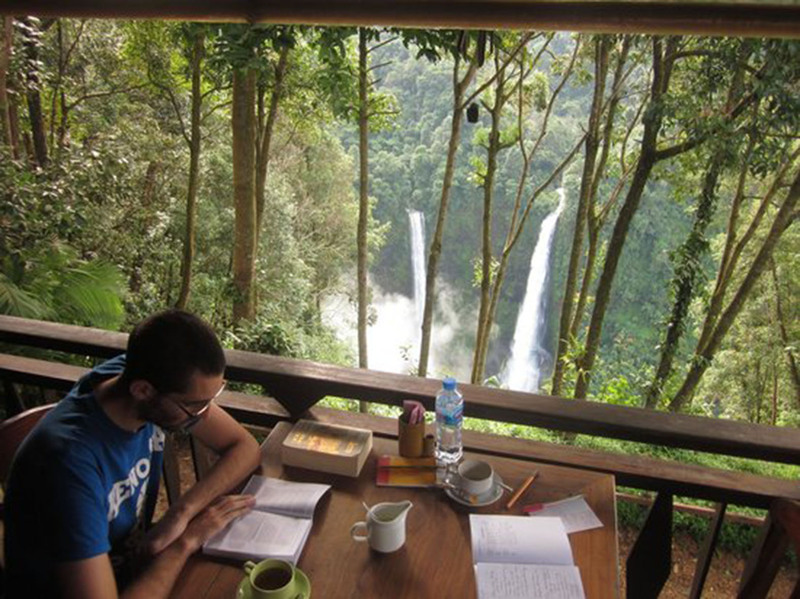 The waterfall is located 29 kilometers south of the city, and is the largest waterfall in the province, with the highest drop reaching 50 meters. 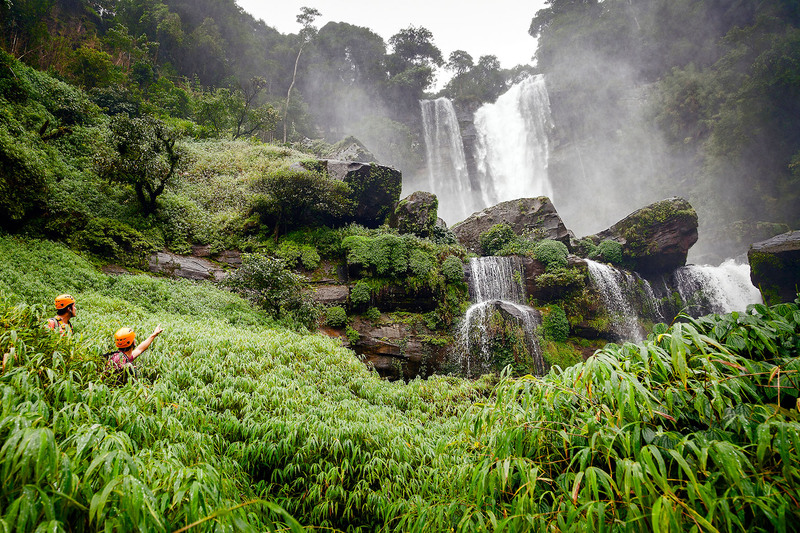 Given the tropical weather of Laos, diving into the streams and swimming excitedly in the cool, aqua water here are very popular activities to partake in at Kuang Si Falls. 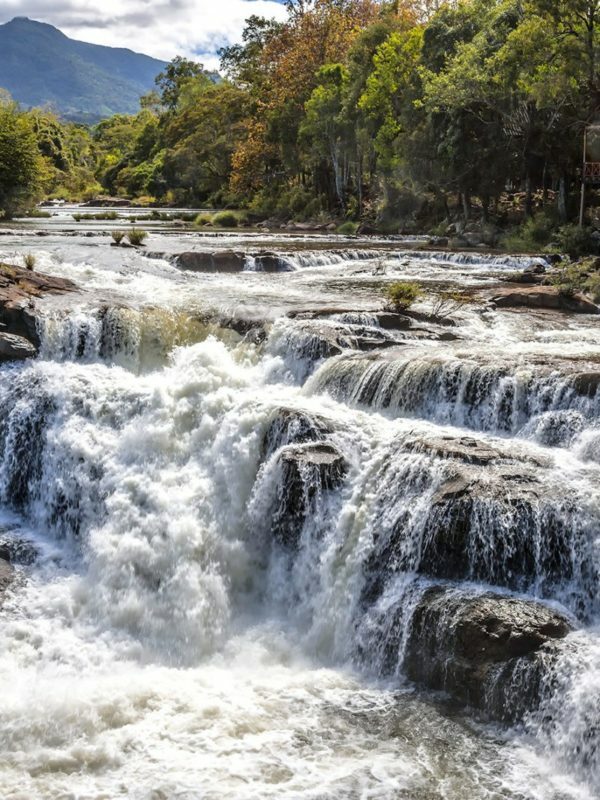 Bordering Cambodia, and located in Champasak of Southern Laos, Khone Phapheng Falls are the largest set of cascading waterfalls in Southeast Asia. They form part of the Mekong River and the islands of Si Phan Don, and although the drop here is not as high as that of Kuang Si Falls, the water has a strong flow and its fall can be over 9 kilometers long. 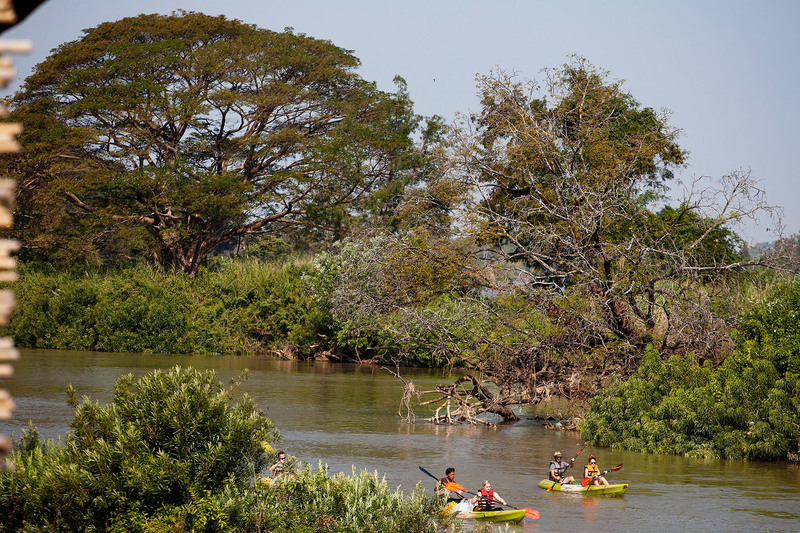 As well as many different kinds of fish, Irrawaddy dolphins and the endangered Mekong giant catfish can be found swimming in the streams of Khone Phapheng Falls. 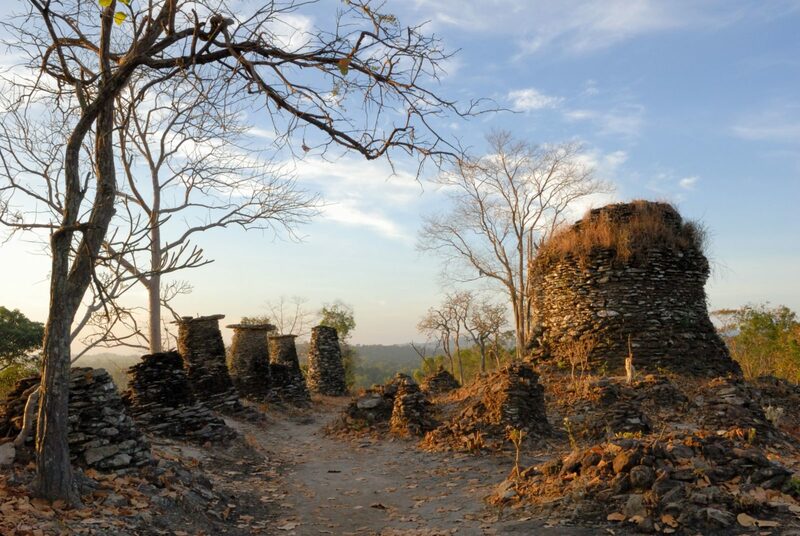 Along with the Champasak Cultural Landscape, Vat Phou is the second inclusion in the UNESCO World Heritage List of Laos. 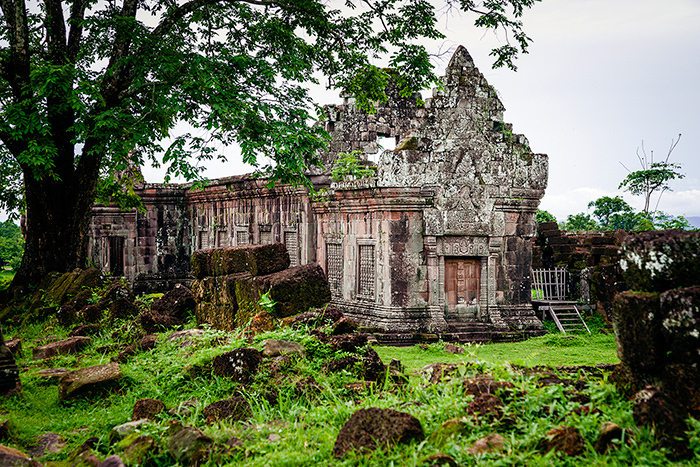 Vat Phou, meaning ‘mountain temple’ in English, are the ruins of a Khmer Hindu temple dated back to the 5th century. Blended into the surrounding nature, the remains of Vat Phou are dotted charmingly all over the mountain top and the waterfront. In the ruins of the temple visitors here can follow the traces of the Khmer Empire from a thousand years ago, with inscriptions and altars still clearly visible. 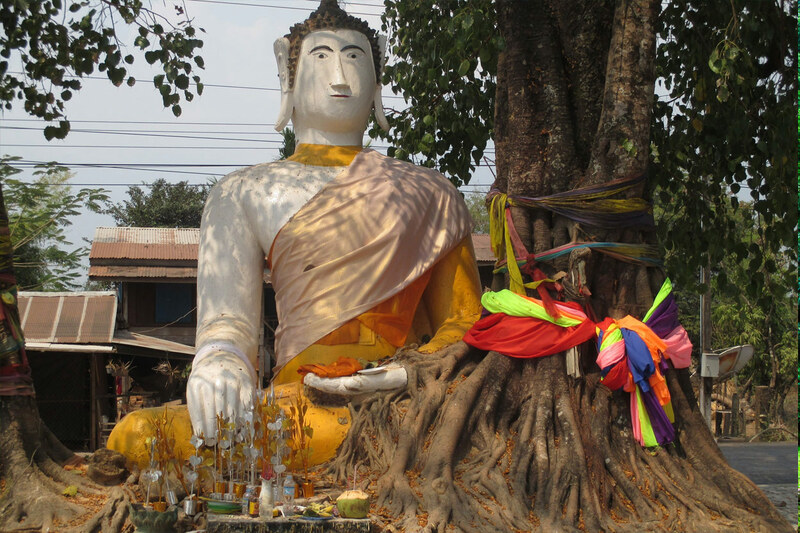 Situated in Laos’ capital, Vientiane, Buddha Park is an extremely popular spot. It is not a temple, as its religious name could suggest, but rather a public park, with over 200 religious sculptures that tower at over 40 meters high. The Buddha Park, also known as ‘the spirit city’, is exceptional not only because of its large number of gigantic stone sculptures, but it is also unique because the sculptures include both Hindu and Buddhist figures. 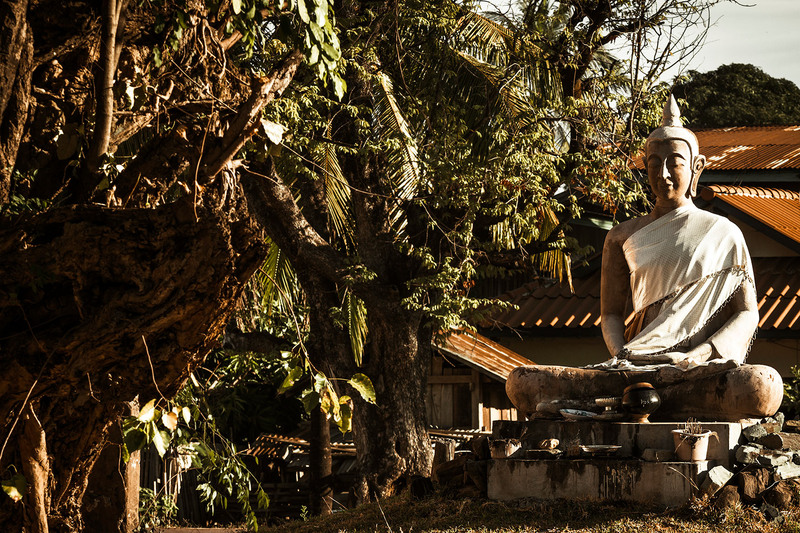 Buddhism and Hinduism are believed to come from the same origin, and after studying both religions, Bunleua Sulilat, the creator of the park, decided to put the Hindu and Buddhist sculptures together to create an innovative spectacle. Unlike in temples, you can have a picnic at the park and even enjoy a beer. Although not close to the city center of Vang Vieng, the Tham Phu Kham Cave and Blue Lagoon are still incredibly popular with tourists; the area is truly enchanting. With a name derived from the spectacular, glassy color of the water, the best way to enjoy your time here is to jump enthusiastically into the lagoon. Not far away from the beautiful water sits the Tham Phu Kham Cave, a site featuring a bronzed Buddha figure in the middle of the main entrance, and a place revered as sacred by locals. A feeling of mystery is exuded here thanks to the shining Buddhist sculpture being the only thing in the cave. Going to the Kong Lor Cave is to partake in an exciting, other-worldly adventure. 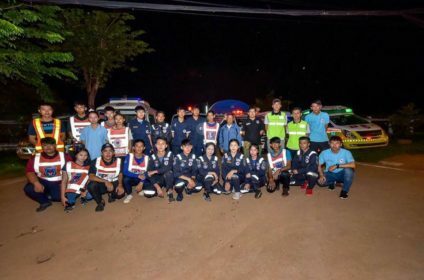 Sometimes called Tham Kang Lo, the cave is located in Phu Hin Bun National Park, and features miles of underground, glistening caves ready for exploration. Bring a torch and voyage into the darkness on foot, or sail a small boat on the waters of the Nam Bun River near the site, with both expeditions providing chances to see the wondrous limestone formations the caves have to offer. Address: Kong Lor Cave, Khammouane, Laos. 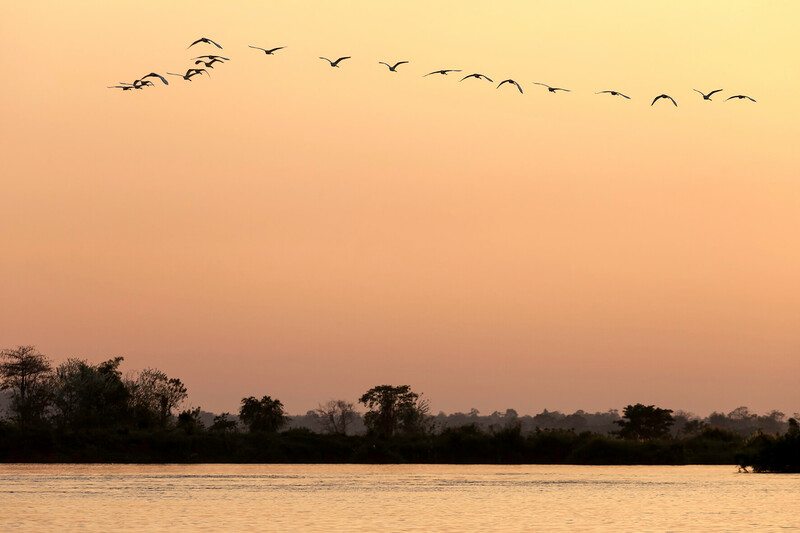 Being one of the ‘4000 Islands’ of Laos, Don Khong is a quiet and ancient island to explore. Look out for the picturesque rice fields in the Ban Houa Khong area where most of the land is reserved for farming. 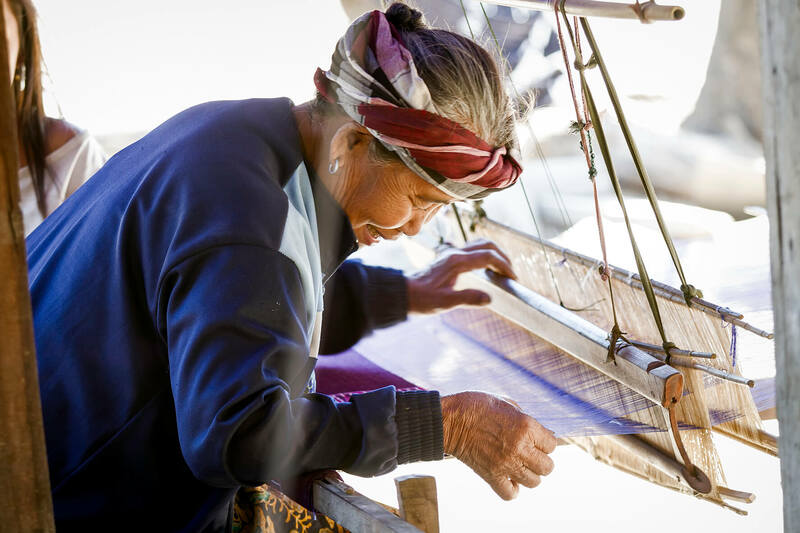 Rice production has always been critical to Laos’ economy, with 80% of the country’s agricultural land utilized for rice farming, and Don Khong gives visitors a beautiful view into this traditional practice. In the rice fields here you can see how the farmers grow the food that will later be deliciously in your bowl at lunch. 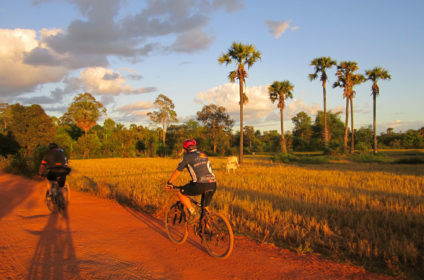 In Southern Laos, in Savannakhet, Dong Natad is a forest that not many tourists know about. 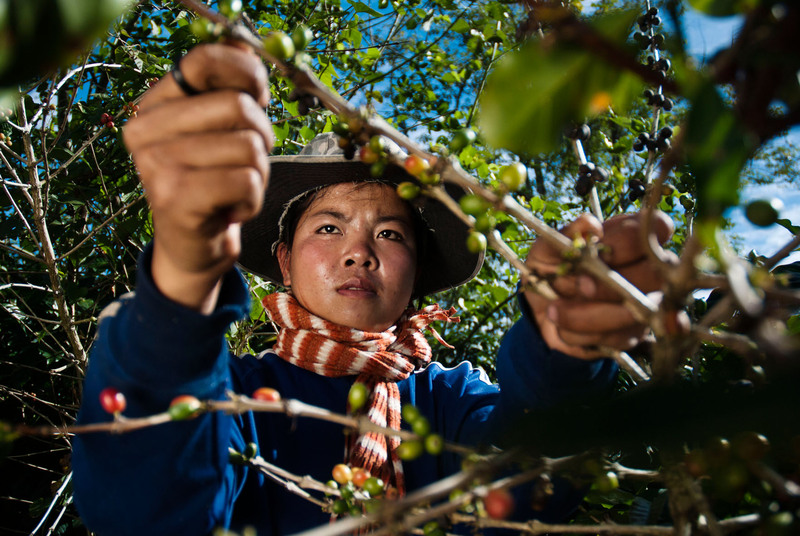 Away from other tourist hotspots and the buzz of the city center, and past the famous Friendship Bridge and the salt mines, you will finally arrive at Nong Lam Lake and the Dong Natad forest. 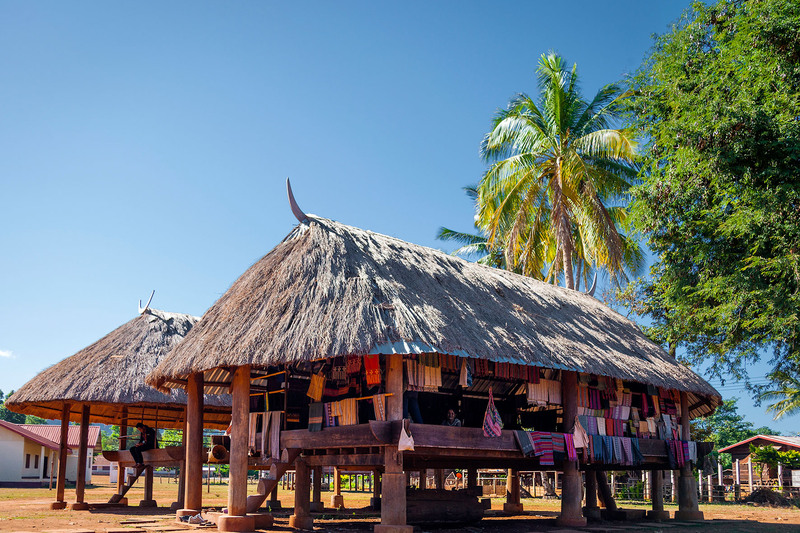 Two communities of native villagers live here, and it is quite likely that you may encounter some tribesmen picking mushrooms or fruits, and collecting ants and other insects; this is a must-stop for those seeking to get a true taste of traditional Laos life. 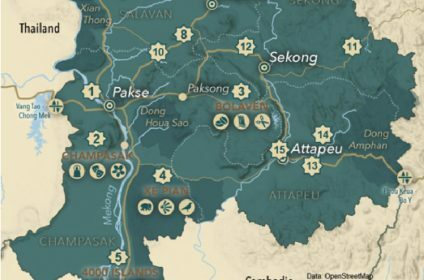 As one of 21 National Biodiversity Conservation Areas in Laos, Dong Hua Sao is a protected forest park which has been established for over 20 years. 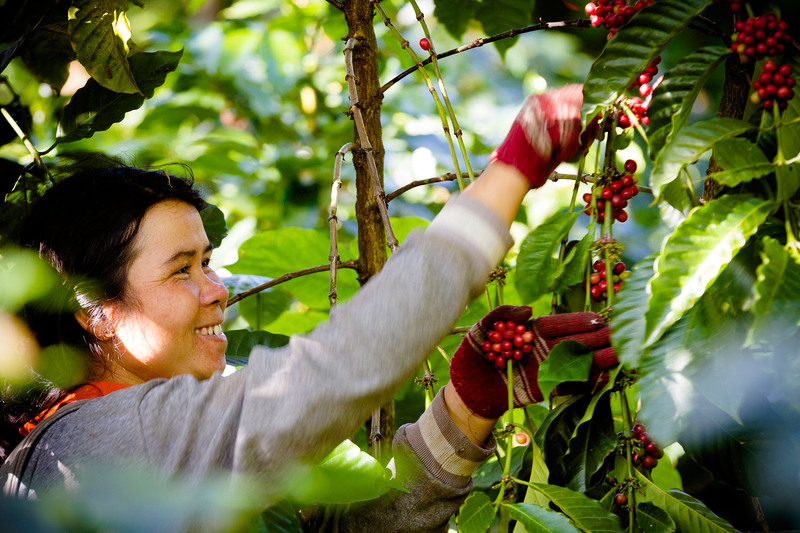 The forest’s land area has increased over the years from around 867 square kilometers to now over 1100 square kilometers, and the lush, verdant evergreens of the forest are all over 40 years old. On your visit to the stunning forest you may have the chance to meet all kinds of animals and birds, including monkeys, hog deers, peacocks and hornbills. If you are extremely lucky, you may also see some wild elephants and endangered yellow-cheeked gibbons.